Northeast Florida was in the international golfing spotlight during THE PLAYERS Championship. With a week of great weather and challenging golf, Si Woo Kim of South Korea proved victorious capturing his first victory on the PGA TOUR. Northeast Florida was in the international golfing spotlight during THE PLAYERS Championship May 9-14, 2017 at Pete Dye’s TPC Sawgrass. With a week of great weather and challenging golf, Si Woo Kim of South Korea proved victorious capturing his first victory on the PGA TOUR. 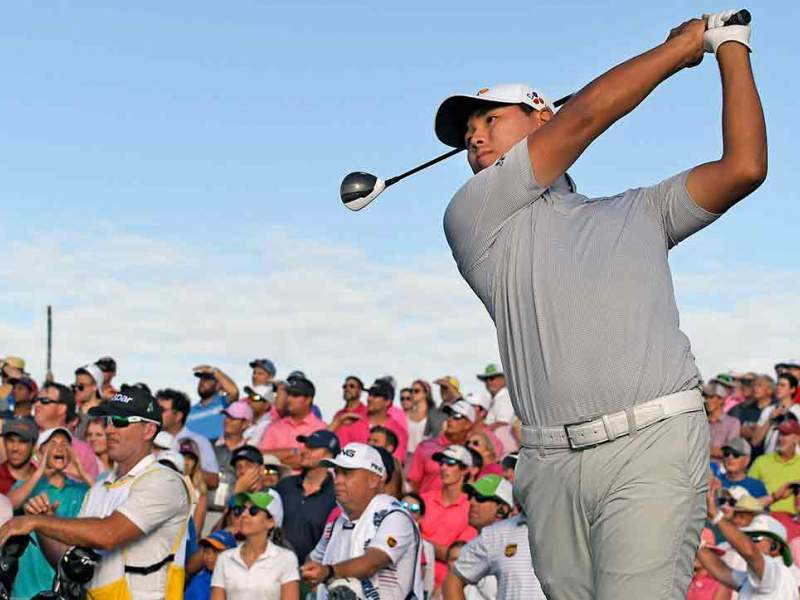 As the youngest player to ever win THE PLAYERS Championship, 21-year old Si Woo Kim also made a record-breaking win coming in three shots at -10 putting him ahead of Ian Poulter and Louis Oosthuizen at -7. Kim became the second South Korean winner of THE PLAYERS Championship, joining fellow 2011 champion golfer K.J. Choi. With a $1.98 million payday, this was Kim’s second win on the PGA Tour and he’s now eligible for a three-year exemption to the Masters Tournament. In addition to Kim’s victory, another huge highlight of the tournament included Rafa Cabrera Bello making an albatross on the par-5 16th hole. With a first shot reaching 337-yards, his second shot left him only 181 yards from the hole and his ball made its way in. While the winds kept many balls from making it onto the green at the iconic 17th island green, Sergio Garcia made a hole-in-one in the first round of the tournament. This feat marked only the eighth time an ace has been recorded in THE PLAYERS Championship history. Overall, it was a successful tournament complete with beautiful weather and great plays made on the course. Need help securing tickets and lodging for the tournament? Or maybe you’re interested in scheduling a tee time at one of the many great courses in Northeast Florida. For more information and tee times, check out Florida’s First Coast of Golf’s THE PLAYERS Championship hub or call (800) 530-5248.